Get your smoothest shave yet with the Starter Box from Dollar Shave Club, complete with a reusable Executive Razor handle, four replacement cartridges, and a 3oz. tube of Dr. Carver’s Shave Butter. Grab yours for just $5, plus free shipping. The Executive Razor, featuring 6 stainless steel blades with 4 replacement cartridges to ensure you’re covered for a full month. A 3oz tube of Dr. Carver’s Shave Butter, formulated to help fight razor bumps while moisturizing your skin, leaving you with a gentle, smooth finish. After receiving your Starter Box, choose to have replacement blades delivered every month, or every other month for just $9, plus free shipping. You can adjust your shipment schedule, pause deliveries, or cancel at anytime with a few clicks. 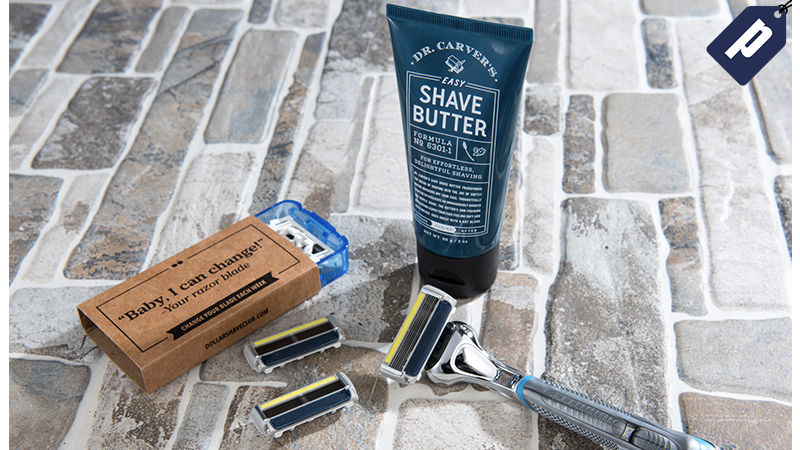 Enjoy a smooth shave every time with Dollar Shave Club’s Starter Box now for just $5.